Wendy Lamb Books, 9780375837739, 240pp. Meg's family has moved a lot because of her father's drinking. Meg arrives in her town longing to find a real friend, someone she can talk to and write stories with. When she and Grace join forces to write a book, she's thrilled that she has finally found someone who likes her for who she is, who trusts her and confides in her. But she can't tell Grace about her father. Even though she hates to lie, Meg can't resist telling tall tales about her family and her life to Grace and other kids. 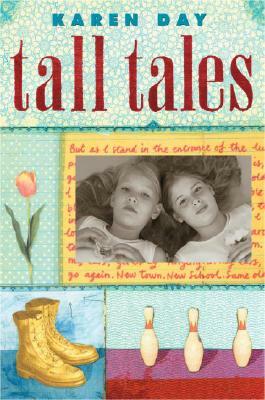 For Meg, friendship turns out to be the key to telling the truth, and also to a better life for her family. Karen Day grew up in Indiana and now lives in Newton, Massachusetts, with her husband and three children. Her love of reading and writing has taken her through careers in journalism and teaching. This is her first novel. You can visit Day at her Web site: www.klday.com.